Discussion in 'General Freemasonry Discussion' started by Blake Bowden, Jan 28, 2009. That's the first time I've seen Ben Franklin's Masonic sash. Thanks for posting! 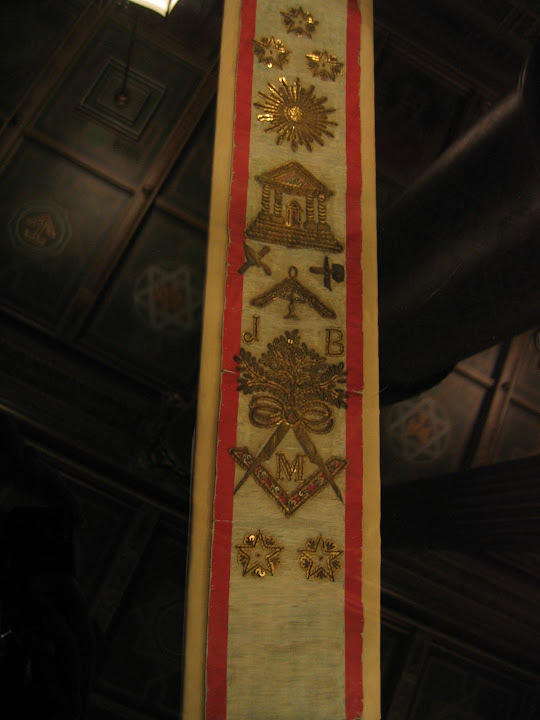 What is a masonic sash? There was a Franklin Exibit at the Houston Museum of Natural Science a few years back. The only Masonic item on display was his apron. Still, the exibit was impressive, even more when you know about what really occurred by benifit of Masonry. Very nice, I hadn't seen that before. Thanks for posting. Thank you for posting the image. This is the first time that I have seen the item. Raul, do you mean to tell me you don't have a Masonic Sash?